You should receive an email from us literally within minutes. Make sure to CHECK YOUR SPAM OR JUNK FOLDER (or “promotions tab” for gmail accounts) in case you don’t see it soon. 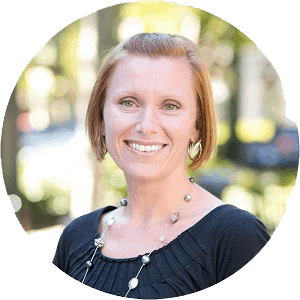 My name is Tiffany and besides being an ordinary mom with 2 kids, balancing a full-time career as CEO of an online business, I’m also a healthy living enthusiast, a blogger and the creator of the hugely successful e-course Grocery Budget Bootcamp. This course alone has helped thousands of families positively change their health. In fact, the same insights and methods found inside are the reasons why my husband and I are able to keep our grocery budget at $330 each month for our family of four. 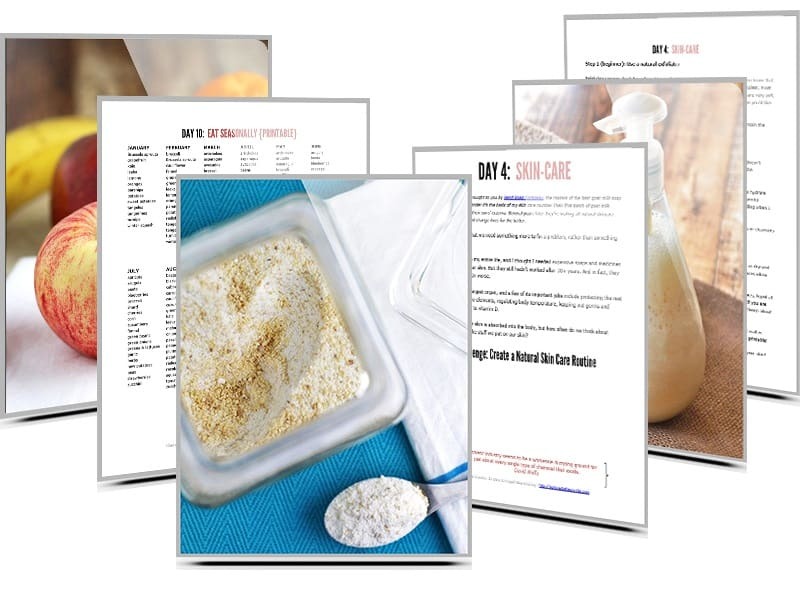 However, the reason I set out to write a hold-you-by-the-hand eBook on getting started with natural living was because I once had no idea where to begin and had wished there was a guide book to help me. After trial and error on failed tutorials, wasting time and money and energy on changes my family hated and spending countless hours wading through information on natural living, I quickly discovered what does and doesn’t work. I know first-hand what it’s like to struggle with wanting to feed my kids healthy food and not being able to afford it; needing to take care of myself but there not being enough time in the day to do it; wanting to make changes in my family’s health yet be afraid to mess it up at the same time. I also know how good it feels to finally make changes in my home that matter! What I’m about to share with you worked for me and many others. That’s why I’m confident it can work for you. 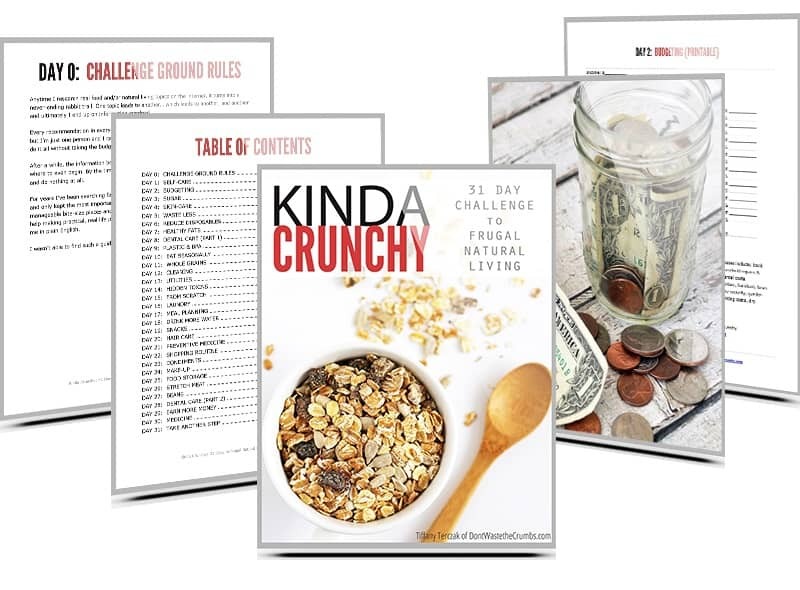 I created the most comprehensive guide to getting started with frugal natural living, so you can navigate through the concepts, learn simple yet effective steps to transform your health, your home and your environment – ultimately giving you positive changes that last. Who said natural living had to be complicated or costly? 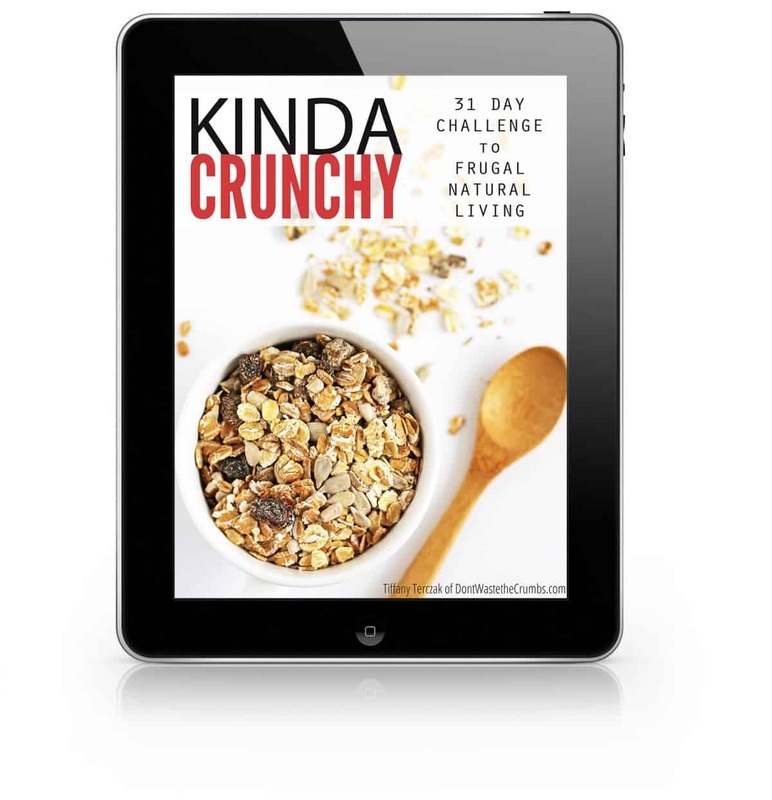 I’ve put together a 180 page, proven life-changing eBook that can hold your hand as your transition to natural living and make significant, healthier changes in just one month. I’ve gone through all the hard work of testing it out and sharing essential facts, recipes and everything you need to get started, so you don’t have to learn by trial and error. The unique challenges in this guide offer simple, straight-forward ways to make an impact in your life in just 15 minutes per day. I feel so strongly about this eBook that I’ve decided to offer it to you at a deeply discounted price. Knowing where to start and what changes to make doesn’t have to be overwhelming. You don’t have to make this journey alone. This revolutionary book will show you how to do it, one day at a time. It’s your turn to confidently start making healthy changes today for just $7 – more than 50% off retail price! Start today making real life changes to your health that aren’t the latest fad. Implement simple routines that easy for the whole family to use, both now and in years to come. There’s no gimmicks. No “do this and you’ll magically be healthy”. Getting healthy takes work and time, but you don’t have to go it alone. That’s what I did and I don’t want that for you. Use this eBook as your guide. Take the small, beginner-level steps every day for the next 30 days and witness the amazing changes happen first-hand. Then go though the guide again, following the intermediate steps. You’ll build upon the simple truths you learned as a beginner and you’ll grow even more, realizing that healthy living is not out of reach. Then go through the guide AGAIN, following the advanced steps. You’ll challenge yourself to think outside the box, incorporating changes you never thought possible and lead your family on a well-established road of healthy bodies and a healthy home. Keep this eBook for reference when you fall down and don’t know where to start again. Use the challenges as inspiration to keep making changes, to keep taking small steps. What more are you waiting for? Use Coupon Code SAVE7OFFKC. Go ahead – order now while you’re still thinking about it! I am confident that your life will be transformed with this eBook once you start working through the daily challenges inside. I have no doubt that in less than one month, you’ll feel better, be less overwhelmed and be more confident in your steps towards good health. PS – Don’t put off your health until “someday” because “someday” will never come. Now is the time for you to take your health into your own hands, but don’t do it alone! Buy this eBook and get hold-your-hand guidance and encouragement. You’ll be taking steps that will help you and your family live your best lives possible from now and decades to come.